Ryo Chonan makes his return to the Japanese big show when he takes on Andrews Nakahara at DREAM.13 on March 22 in Yokohama, Japan. 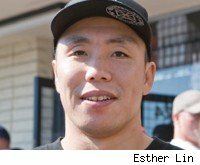 Before the longtime PRIDE veteran makes his DREAM debut, MMA Fighting caught up with Chonan to talk about his experience in the UFC and bringing his career back to Japan. Dont know anything about hs opponent but will be pulling for the Pirahna! Maybe DREAM will be a better fit for him. Nakahara's a serious striker and is a middleweight, so Chonan, I know he fought at middleweight in Japan... but Chonan is probably a bit undersized compared to Nakahara. I like Chonan, but I think Nakahara is going to take this.